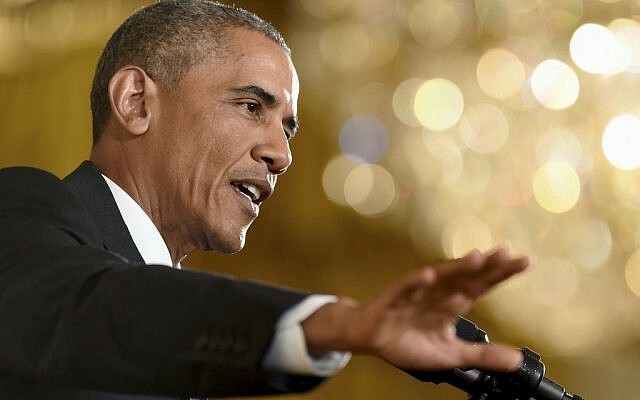 US President Barack Obama on Wednesday delivered a detailed defense of the world powers’ landmark nuclear accord with Iran, and lambasted Prime Minister Benjamin Netanyahu and other vociferous critics inside the US for what he said was their failure to present a viable alternative to it. 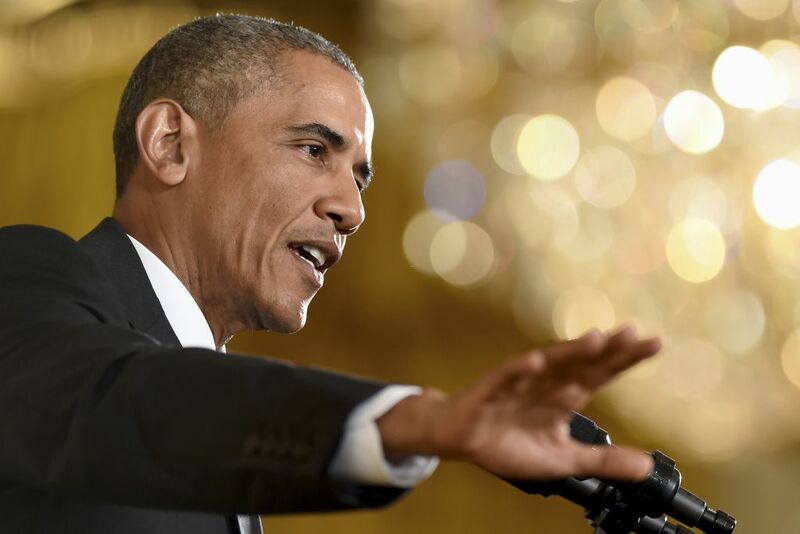 Taking a direct jab at Netanyahu, Obama said some critics claim Iran wants to “take over the world,” referencing a speech the prime minister made earlier in the month in which he claimed Iran has “the ultimate true aim of taking over the world.” This was “news to the Iranians,” Obama quipped during a press conference on the deal with reporters in the White House. Under the deal announced Tuesday, Iran’s nuclear program will be scaled back and closely monitored as the US and world powers seek to cut off its ability to develop an atomic weapon. In exchange, Iran will see biting economic sanctions gradually lifted, freeing up tens of billions of dollars in oil revenue and frozen assets. But Netanyahu and other critics say the deal should have neutralized and dismantled Iran’s military nuclear facilities, and warn that the deal paves Iran’s path to the bomb and will send billions into its coffers which it will use to promote its violent agenda in the region and beyond. 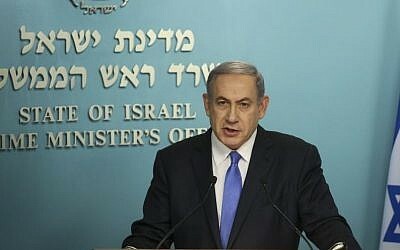 Earlier on Wednesday, Netanyahu reiterated his biting critique of the agreement, claiming it is “filled with absurdities,” and scolded world leaders for caving in to Iran’s “charm offensive.” Addressing the Knesset, he insisted Israel was not bound by the agreement, suggesting it could still take military action against Iran’s nuclear program even if the deal proceeds. Obama urged critics Wednesday to read the deal before attacking it; Netanyahu had said hours earlier that he had read, and that the more he read, the worse it got. But Obama asserted that a so-called “better deal” — as repeatedly demanded by Netanyahu — was unrealistic. “You’ll hear some critics say, well, we could have negotiated a better deal. Okay, what does that mean?” he asked. 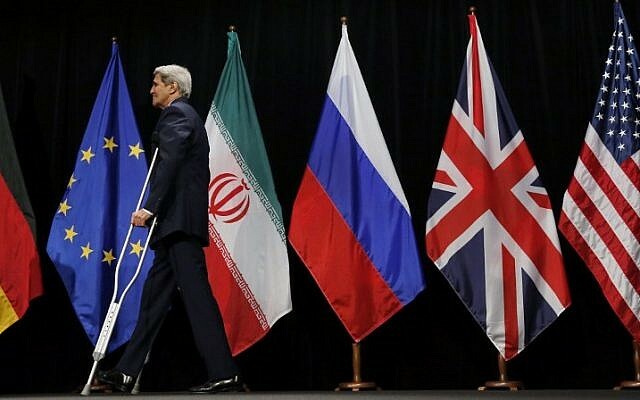 In the absence of a deal, however, the international economic sanctions that brought Iran to the negotiating table would have unraveled, he said, and the world community would not have been able to put the sanctions regime back together. Responding to criticism of the deal’s provisions on inspections of Iran’s nuclear facilities, Obama said Iran will be subject to a more vigorous inspection regime than before the nuclear deal, and “will not be in a position to develop a nuclear bomb,” but would still pose challenges to Western interests and values. The United States Wednesday presented a draft resolution to the UN Security Council asking it to endorse the historic deal, which could be voted on as early as Monday or Tuesday, diplomats said. The draft text seeks formal UN approval for the agreement and would also replace the existing framework of Security Council sanctions with the restrictions set out in the deal, under which Iran has dismantle or mothball much of its nuclear industry. Times of Israel staff, AP and AFP contributed to this report.